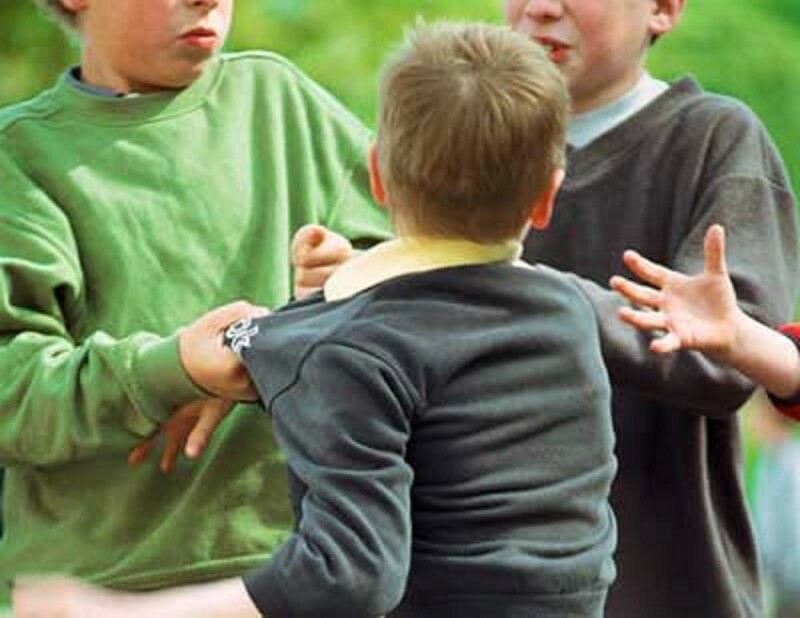 Why do children bully each other? Why are redheads, disabled and homosexual children often the most obvious targets of bullying? What does the mechanisms of bullying reveal about our society? This is what we will discuss in this blog-post. “Bullies with the most hostility reported picking on kids because those kids were not good at sports. The most frequent bullying involved picking on students they perceived to be gay or lesbian, a result that agrees with another recent study on bullying. Bullies were more likely than non-bullies to live in families without two biological parents, such as living in single parent families, living with extended family members or with foster parents. Such situations may mean bullies, in some cases, do not receive as much attention at home, the scientists said. The study also found bullies were at high risk for alcohol and substance abuse. Fifty-nine percent of bullies said they had been offered alcohol in the last seven days compared with just 28.5 percent of non-bullies. Bullies were also at higher risk for mental health problems, including depression, anxiety and hostility. High hostility was associated with picking on students because they weren’t good at schoolwork, they had certain possessions, or they were perceived as being gay or lesbian. The research shows that bullying and the people bullies target aren’t randomly selected or due to a specific culture within the school or teenage segment. In fact the study revealed that bullying is specifically connected to the type of worldviews, values, beliefs and ideals that are predominant in the particular community or society in which the bullying takes place. This is certainly interesting, because we tend to see bullying entirely disconnected from society in that it is either viewed as limited to school grounds, social media online or limited to the bully’s own family. The norms that victims of bullying aren’t meeting, whether this is race, disability or physical appearances might even be norms that are tacitly upheld in society as a cultural undercurrent of silent judgment that people rarely speak about, but that a child picks up on instantly due to their sensitivity towards integrating information about the world around them. This then also becomes part of the problem in society and families alike where we tell children one thing when it comes to norms, values and principles, while acting in complete ambiguity to these, thereby inadvertently teaching the children not only to ‘do as we do and not as we say’, but to also created a conflicted and contradicting set of beliefs and values, forcing them essentially to live on a lie. That lie could be to ‘Be nice to people that look different’ or ‘we treat everyone equally here’ or “We welcome diversity!” – an example of some of the slogans that are used in schools to teach children to ‘empathize’ with those who are at risk of being bullied. But what if the parent isn’t explicitly racist or abusive towards their child? What if the child simply picks up on how the mother speaks to the Arabic shop assistant differently than she does to everyone else, What if the father in a burst of frustration over a soccer match accidently shout that Africans can’t be trusted? What if an aunt or a bigger sister can’t help but cringe when seeing a largely obese person eating? All such moments in a child’s life, seemingly ‘innocent’ moments, is what will accumulate and become a part of the child’s vocabulary and understanding of the world. He or she might develop a resistance towards playing with African children, because of a belief that he/she doesn’t even remember where comes from that: “they can’t be trusted.” Or he/she might speak differently to the Arabic child in school because that is what he/she has seen her mother do. Bullying is not only about people with low self-esteem from broken and beaten families taking their revenge on those who are weak and defenseless. No – bullying is so much more than this. Because bullying reveals the social stigmas that – however subtly – we are accepting and allowing in our society. 1. Physical appearance such as facial features, size and weight, pimples etc. Any physical feature that is not considered normal or acceptable, essentially anything less than beautiful, is an offense often target by bullies. 2. Clothing. If clothes are not in style, are from thrift stores or from Walmart, if they are hand me downs or otherwise considered to be uncool, you can expect children to be bullied about them. 3. Class or financial status. If a child is considered by their peers to be poor, or otherwise lacking in the way of having money, you can expect that to be something a bully would target. Kids are often picked on for this. 4. Personal hygiene. If a child smells badly, or has greasy or unkempt hair, they are absolutely targeted by bullies. 5. Social behavior. If a child is shy, introverted or otherwise in keeping with themselves they become easy targets for bullies. 6. Speech. If a child talks with a lisp, stutter or other speech impediment, they are often bullied for it. 7. Exceptionally challenged individuals. Children who are slow learning, suffer severe learning disabilities or who have a condition such as Down Syndrome or other Trisomy disorders are almost always targeted by bullies. 8. Physical disabilities. Physical disabilities such as those that require the use of a wheel chair, walkers or canes are also often targeted by bullies. 9. Family status. Any child who has a parent who has been, or is currently incarcerated or any child who comes from a broken home can be targeted by bullies. 10. Intelligence. While children who are not considered to be smart are often bullied, so are children who are considered to be too smart. As such, we can see from the list above that the reasons people are bullied as children or teenagers are the exact same ‘standards’ that we’re expecting ourselves and each other to adhere to as adults. The bullying in adulthood simply shifts from being very obvious and direct to be introverted into oneself and conducted as gossiping often masquerade as ‘concern’ or ‘outrage’. Who teaches children to be bullies? We do. Because we are the original bullies. And until we stop and take responsibility for this part of ourselves, the “inner bully” – we have no chance in hell of preventing bullying from taking place in childhood, because we’ve already set the example through our own behavior. If you have been exposed to bullying, if you are a bully yourself, if you recognize the imperative to stop the nastiness of the human mind – there is support available on the Desteni forum 24/7. We have very strict rules and abuse is not allowed, yet at the same time we do not judge ourselves or each other for the mistakes that we’ve made because we understand that we’re all equally in this together. And therefore we expect nothing less from you if you decide to participate than you becoming your fullest potential as a dignified human being with actual self-respect, care and consideration – because that is what we expect from ourselves. Join us and take part in changing the world, stopping one bully at a time – beginning with the bully in your head.